Find a Coupon in our Coupons.com Database! You can save money on your groceries with nothing to cut! SavingStar is the first national fully digital eCoupon service. Nothing to clip, nothing to print! Sign up for a free account at SavingStar.com, then enter all your loyalty cards, activate the SavingStar ecoupons you want then shop and SavingStar will track your savings. Save 50¢ when you buy TWO (2) PACKAGES of any Annie’s™ Mac Cheese..Expires 8/31/2018.One time use only.Save $0.50. Save $1.00 when you buy ONE (1) PACKAGE any flavor/variety Cascadian Farm™ Cereal or Granola..Expires 8/31/2018.One time use only.Save $1.00. Save $1.50 when you buy any ONE (1) Equal® product..Expires 8/31/2018.One time use only.Save $1.50. Save $0.50 when you buy TWO (2) BOXES any flavor Fiber One™ Chewy Bars, Fiber One™ 90 Calorie Products (Bars or Brownies), Fiber One™ Protein Chewy Bars, Fiber One™ Streusel Bars, Fiber One™ Cheesecake Bars, Fiber One™ Cookies, Fiber One™ Layered Chewy Bars, Fiber One™ Protein Nut Bars, Fiber One™ Brownie Bites, Fiber One™ Cookie Bites, Fiber One™ Mini Bars, OR Fiber One™ Supreme Brownies..Expires 8/31/2018.One time use only.Save $0.50. Save $1.00 when you buy FOUR (4) PACKAGES any flavor/variety Helper™, Betty Crocker™ Potatoes (excludes Potato Buds™), OR Betty Crocker™ Suddenly Salad™ products..Expires 8/31/2018.One time use only.Save $1.00. Save $1.00 when you buy TWO (2) CUPS any flavor Liberté® organic yogurt..Expires 8/31/2018.One time use only.Save $1.00. Save 50¢ when you buy ONE (1) BOX Mott’s® Fruit Flavored Snacks OR Mott’s® Fruity Rolls..Expires 8/31/2018.One time use only.Save $0.50. Save $1.00 when you buy TWO (2) Old El Paso™ products (excludes Old El Paso™ seasoning, refrigerated, and produce products)..Expires 8/31/2018.One time use only.Save $1.00. Save $1.00 when you buy TWO (2) CANS any size/variety Pillsbury™ Refrigerated Grands!™ or Grands! Jr.™ Biscuits..Expires 8/31/2018.One time use only.Save $1.00. Save $1.00 when you buy any TWO (2) Pillsbury™ Refrigerated Sweet Rolls (excludes Grands!™)..Expires 8/31/2018.One time use only.Save $1.00. Save 50¢ when you buy TWO (2) BOXES any flavor 15 COUNT Totino’s™ Pizza Rolls™ Snacks..Expires 8/31/2018.One time use only.Save $0.50. You can also search for coupons for items on your grocery list here. Just type in butter, pasta, bread, beverages or by brand..Muellers, Clorox etc!! Follow Printable Coupons For Free via Facebook, Twitter, or Daily Email Coupon Ticker at 6 am every morning to see the newest coupons first! 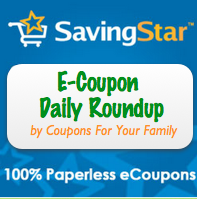 Get the newest printable coupons in our Daily Coupon Ticker! !